Cape Spring Wild flowers Tour. 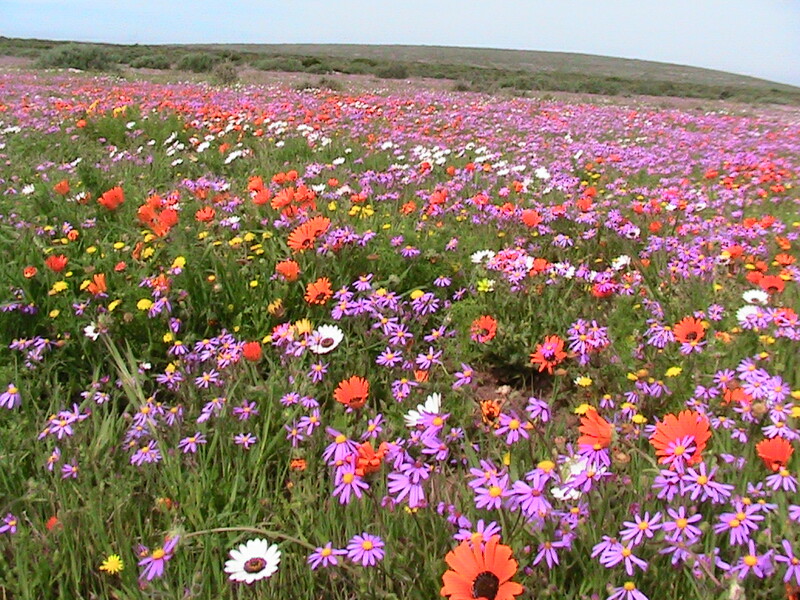 On this Cape Spring Wild flowers Tour,you will travel up the West Coast from Cape Town. The spring flowers of the West Coast, Cedarberg and north to Namaqualand attract visitors from around the world. This Cape Spring Wild flowers Tour is a seasonal tour,from about August to mid September. The area we go to receives little rain throughout the year but after winter rains,the landscape is swathed with vibrant bands of flowers. 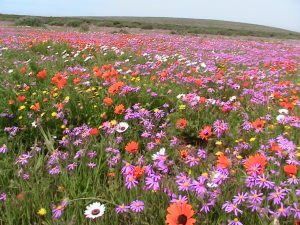 On this Cape Spring Wild flowers Tour,you can experience this amazing natural spectacle.One can do the wildflowers in a 6 hr or so day tour with lunch at a wonderful restaurant in a renovated old traditional Cape Dutch farm house..